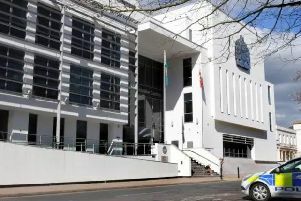 Police are calling for witnesses after a boy was ‘glassed’ in the neck outside Leamington Library on Saturday night. A 17-year-old boy was walking through the Pump Room Gardens at around 11.30pm on Saturday May 7 when he was assaulted. The teenager, who was with a friend, was walking past the park’s bandstand off Avenue Road when he became involved in an altercation with a group of teenagers. The victim was then assaulted with what is believed to have been a glass bottle just outside the entrance to the library. He sustained injuries to his neck that required hospital treatment.